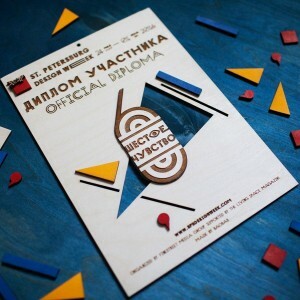 FROM 25 May to 1 June 2016 in St. Petersburg for the sixth time under the slogan DesignSense Week of Architecture and Design - St. Petersburg Design Week 2016. In Week presented the latest achievements in the field of creative industries, which could not only see, but also to hear, feel and even taste. BAOBAB Studio became an official brand-partner of the event, and presented all of its current trends of design products on a personal stand studio. 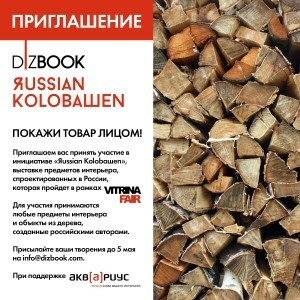 Within the framework of the 14th International Exhibition Showcase 2015, which was held 28-30 May 2015 of the year, Dizbook.com организовала инициативу "Яussian Kolobaшen", exhibition of interior items, designed in Russian. BAOBAB Studio participated in the ongoing exhibition, and presented new design interior of wood on a personal stand studio.